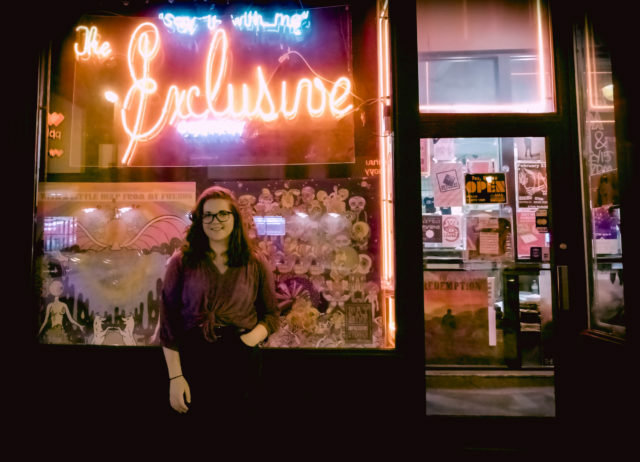 Celeste Brunner is the curator of Local Exclusives. 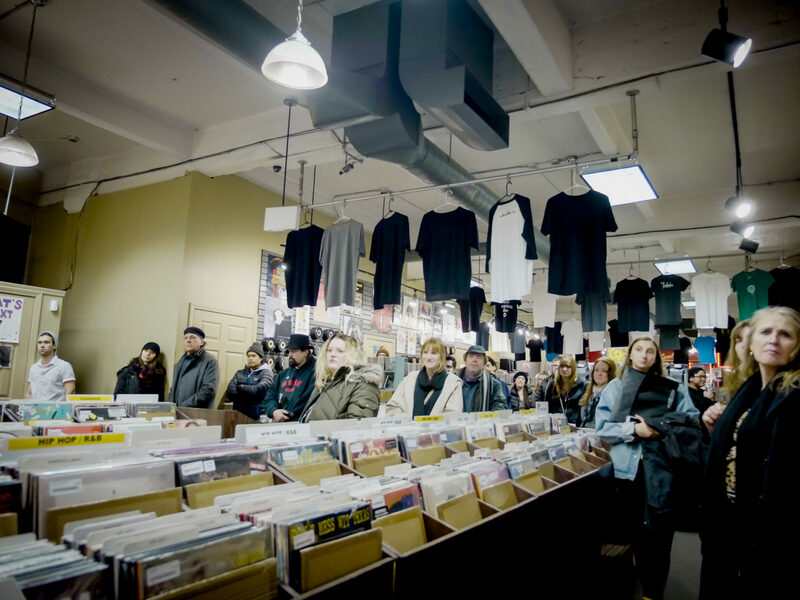 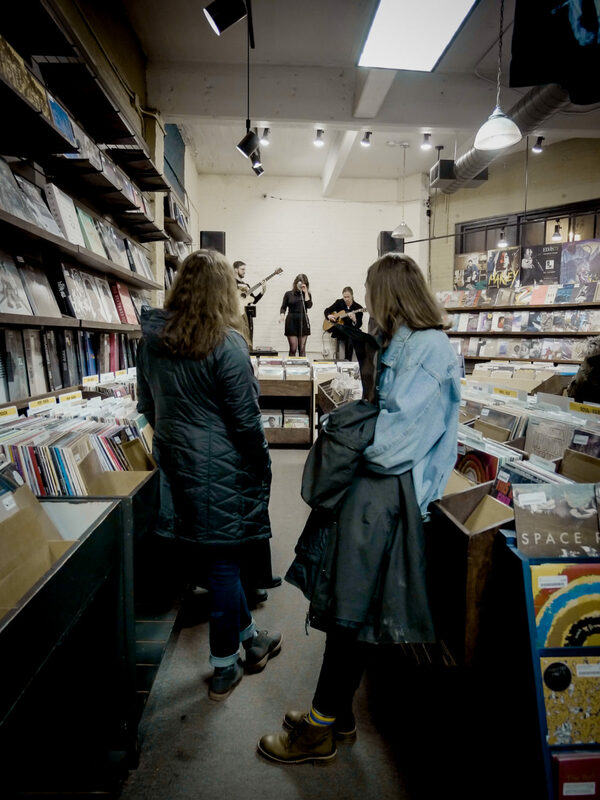 She says that The Exclusive Company is trying to partner with more local businesses and that she tries to book bands from various musical genres in order to invite people with different interests through their doors. 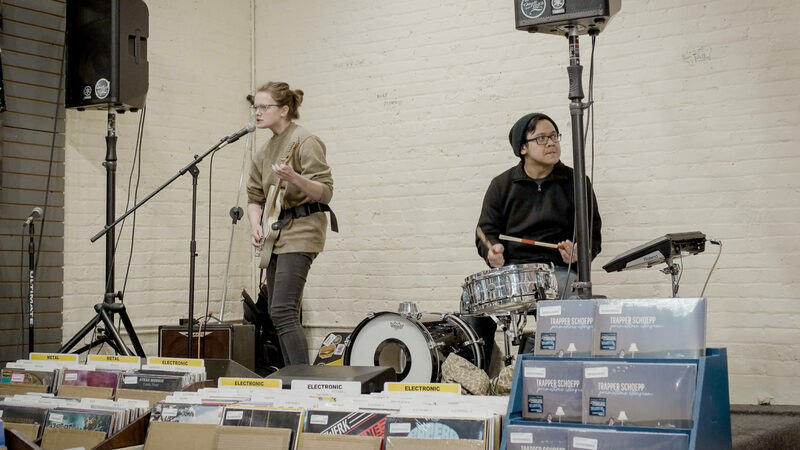 The Local Exclusives concerts began in December 2018 with Telethon, a punk rock five-piece band from Delavan, Wisconsin. 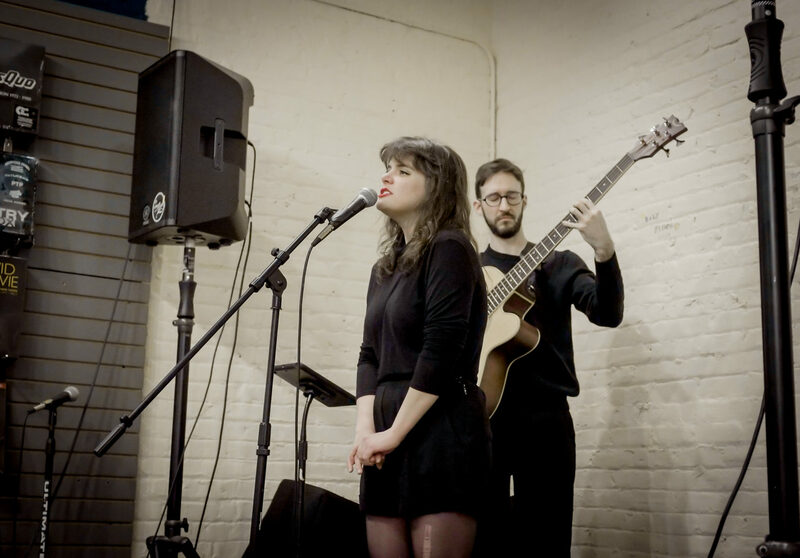 Following this performance were two concerts in January: Holy Pinto opening for Rue the Poet, and later in the month, Trapper Schoepp. 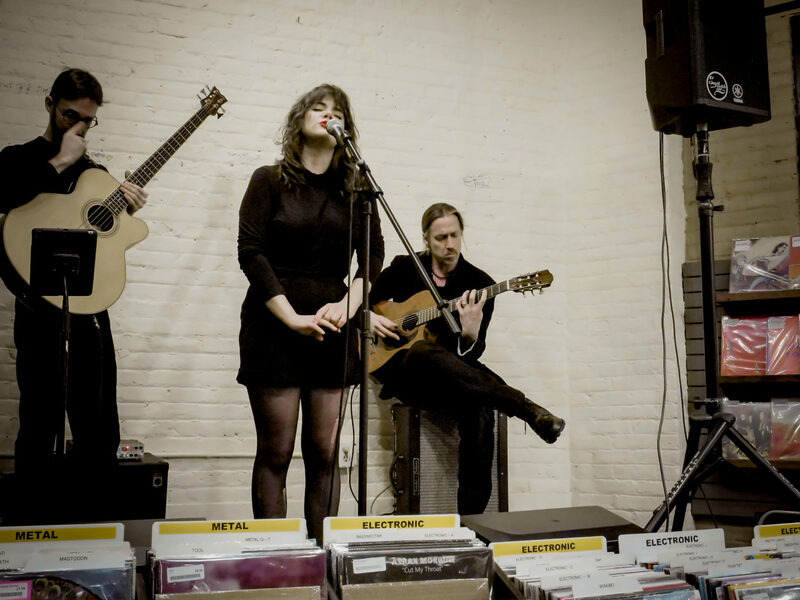 The latest show, on Valentine’s weekend, opened with Milwaukee indie rock band Ako. 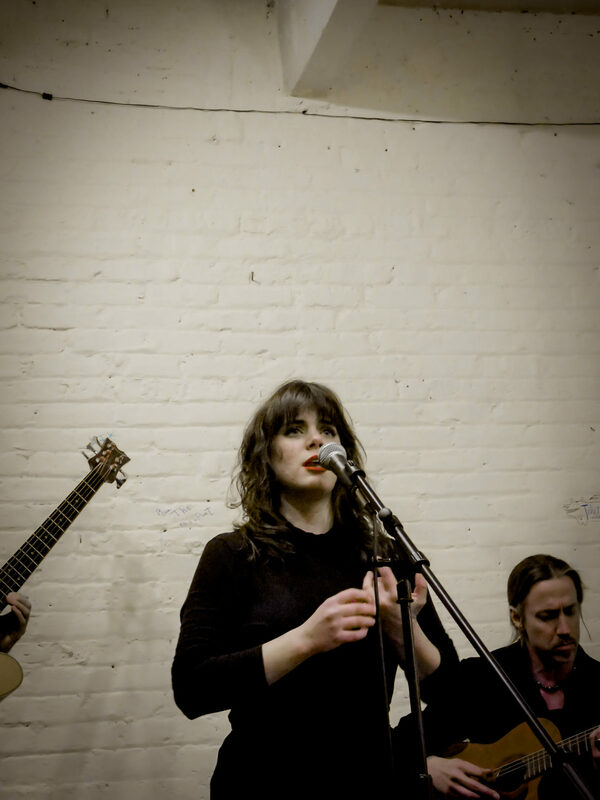 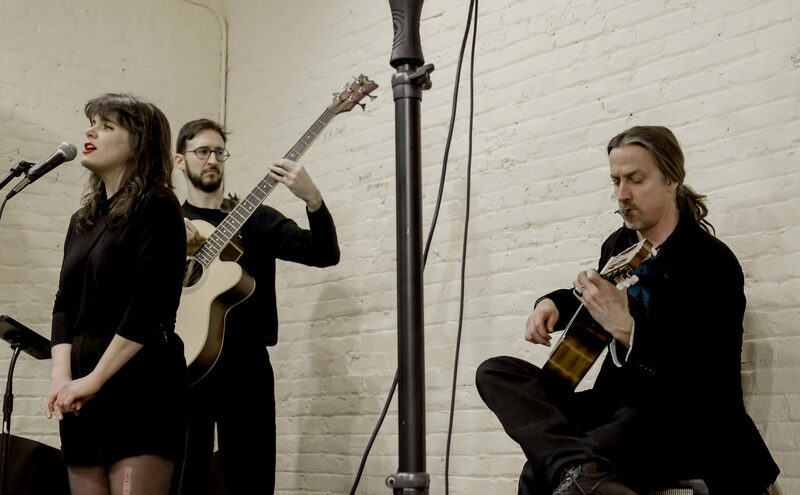 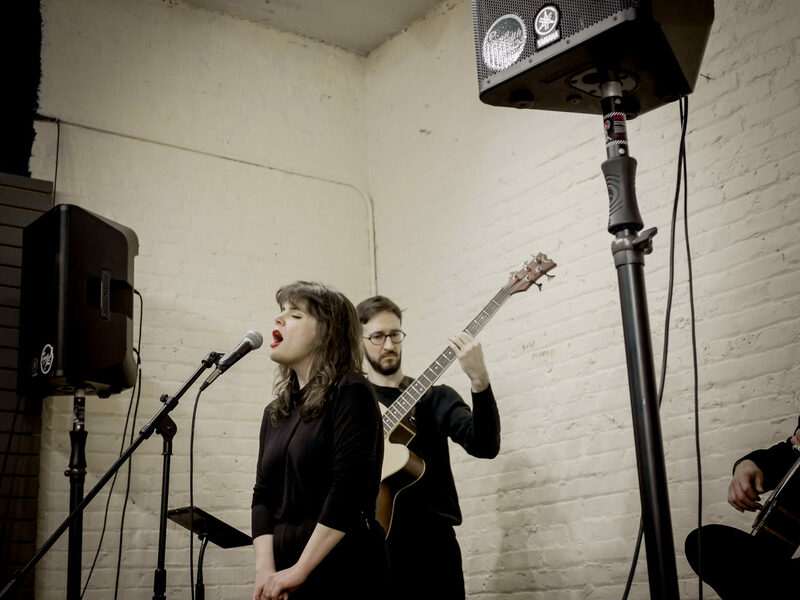 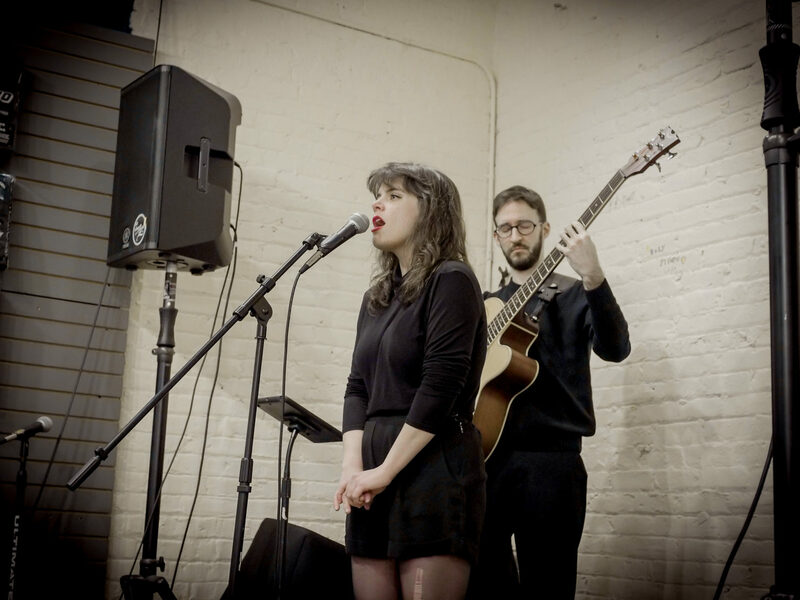 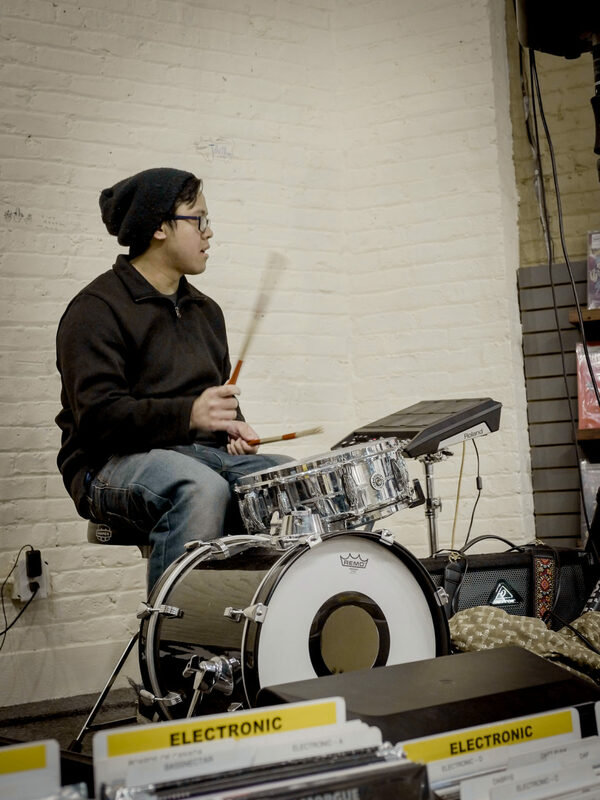 Ako, consisting of Mark Soriano and Gabby Powell, last released an album in 2016 called “And You.” In 2018, they offered up an EP called “Everything is OK.” Their session at The Exclusive Company was the perfect amount of quirky for the small venue, and though they don’t have any upcoming concerts scheduled, they reminded the audience to keep up with them on Facebook and Instagram. 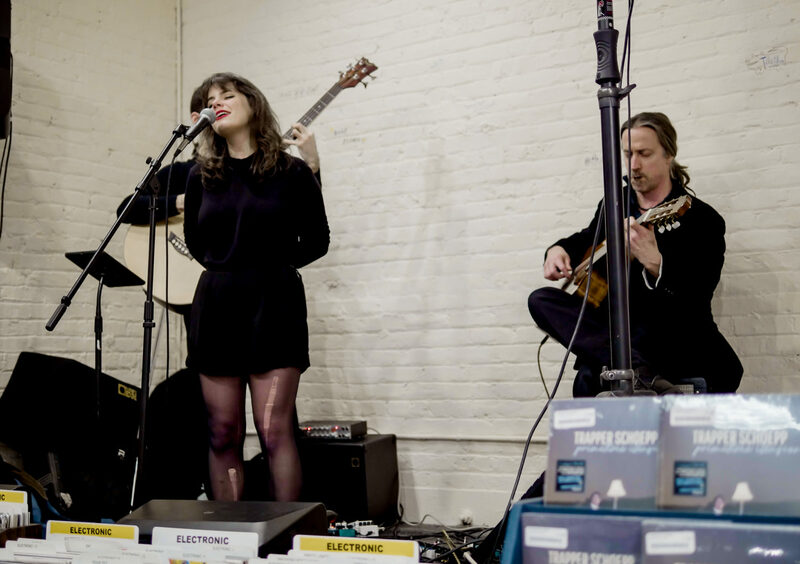 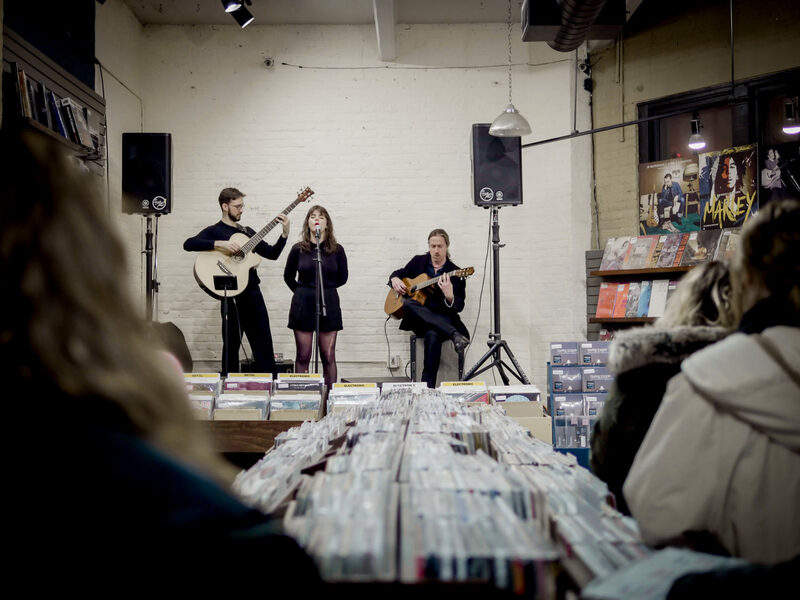 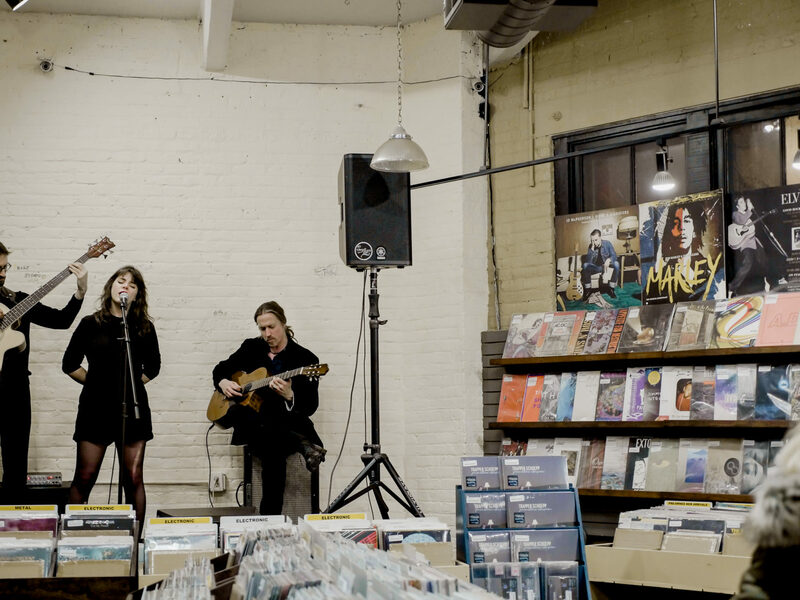 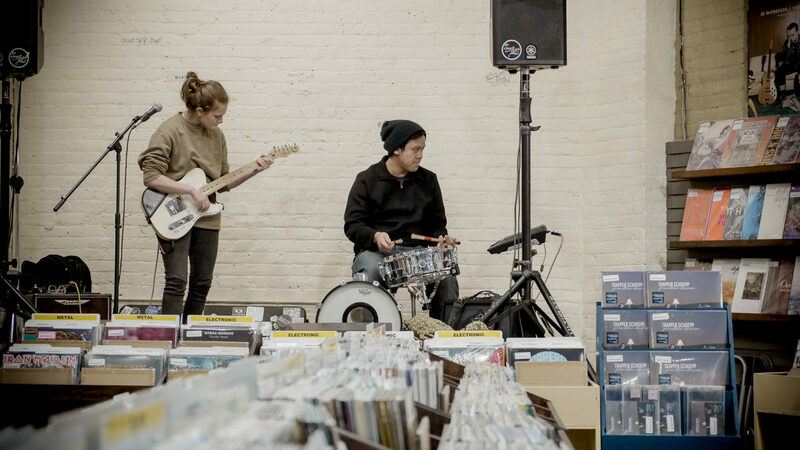 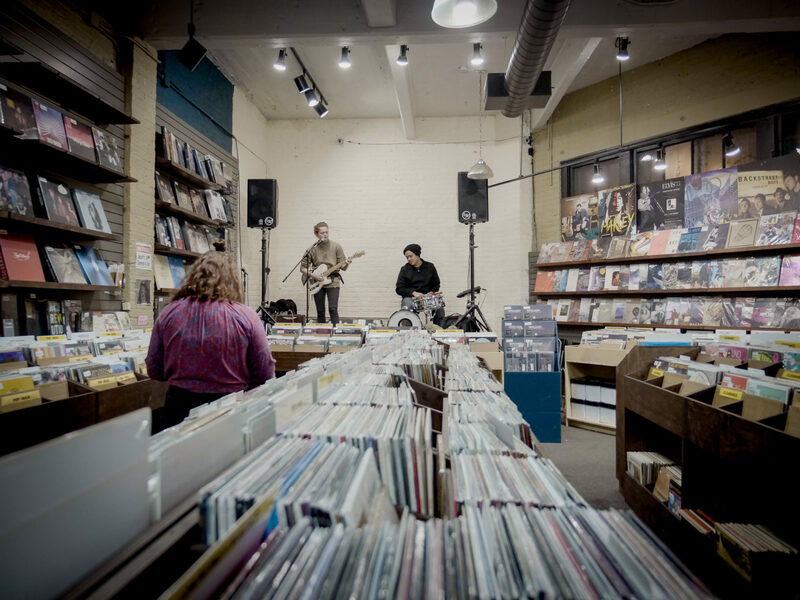 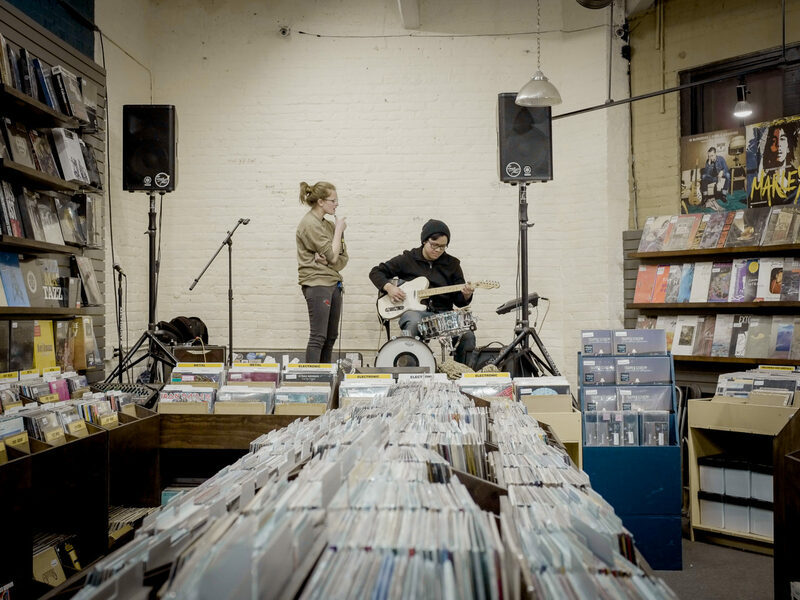 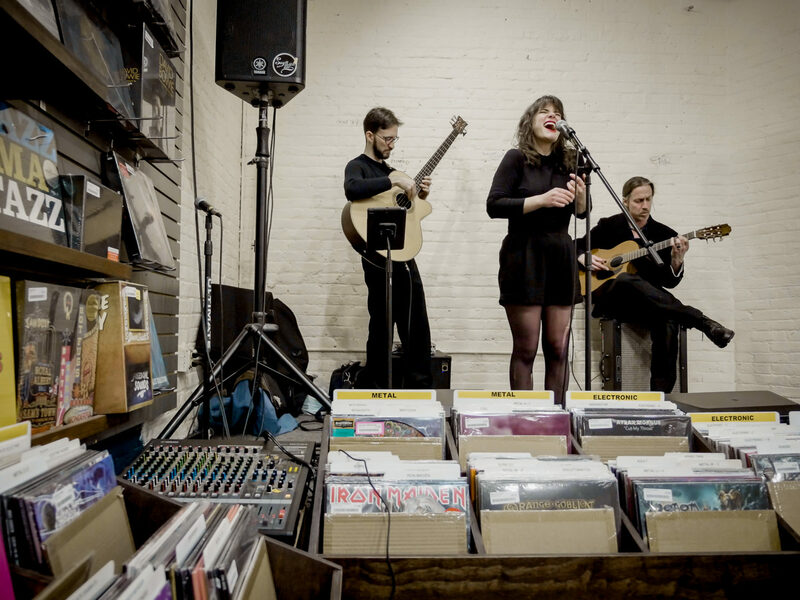 The Exclusive Company is America’s oldest full-line independent record store, according to its website, but the location on Farwell is now featuring the newest local artists at its free monthly concert series—The Local Exclusives. 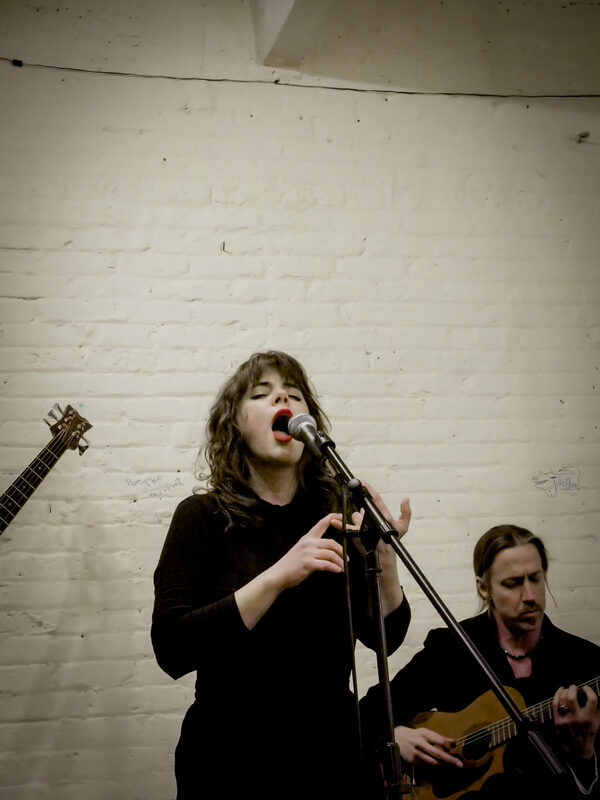 After that, Amanda Huff took the stage for a stripped-down set that featured her tender and powerful, strong and sweet, smooth and raspy blend of vocals. 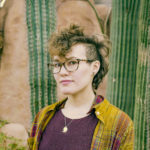 Amanda Huff won three Radio Milwaukee awards in 2018, including Solo Artist of the Year, Best Album Artwork and Best Music Video for “Gravetalking.” Her latest album, “Hemiptera,” is a flirtatious amalgamation of raw jazz techniques, playful synth and electronic beats. 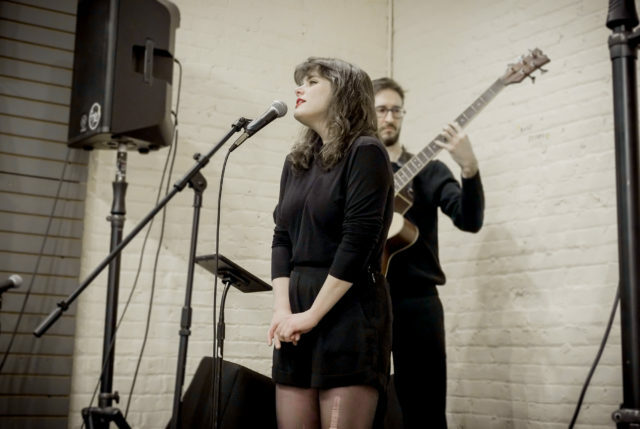 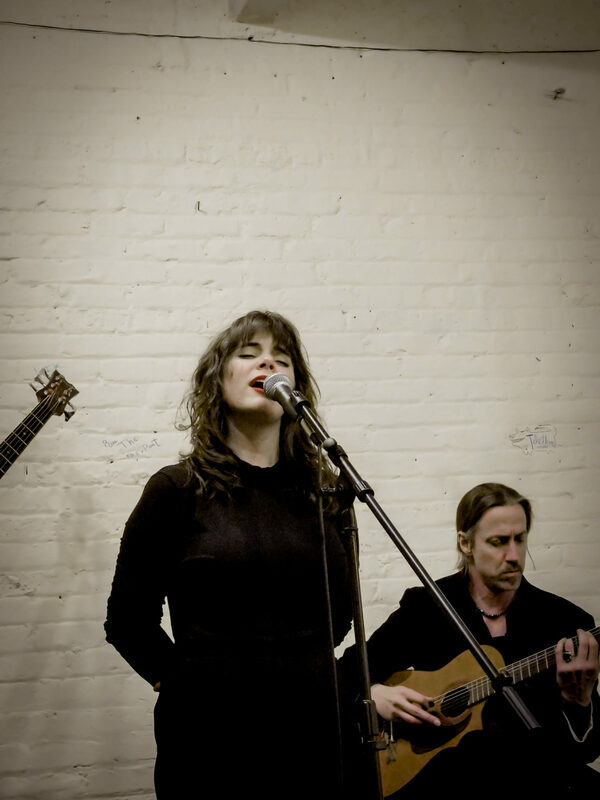 The intimate audience at The Exclusive Company was treated to a set of songs that highlighted Huff’s vocal range as well as the talents of jazz musicians Steve Peplin and Michael Ritter, on guitar and bass, respectively. 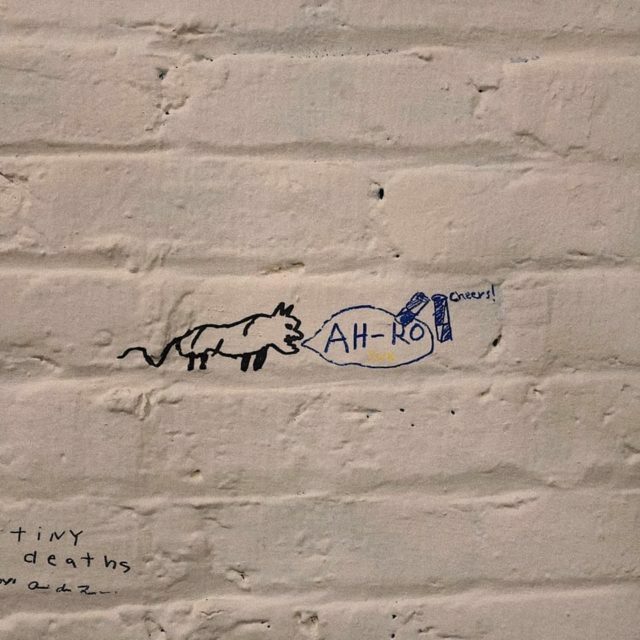 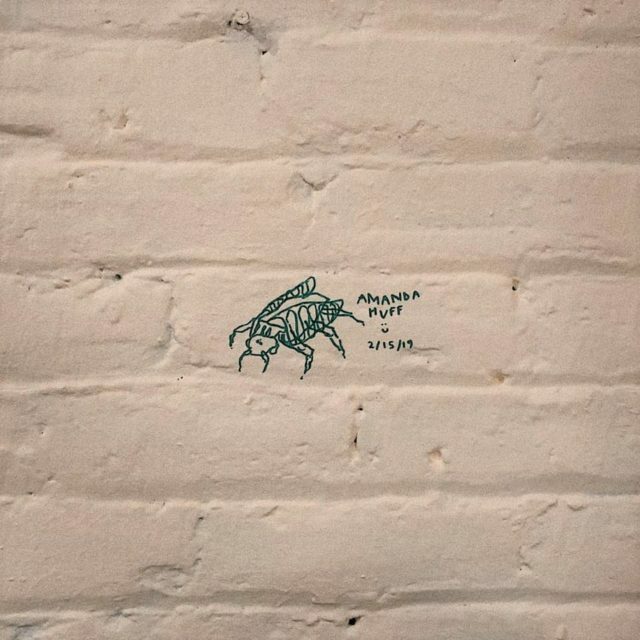 After their shows, Amanda Huff and Ako added their Sharpie signatures to the wall behind the stage. 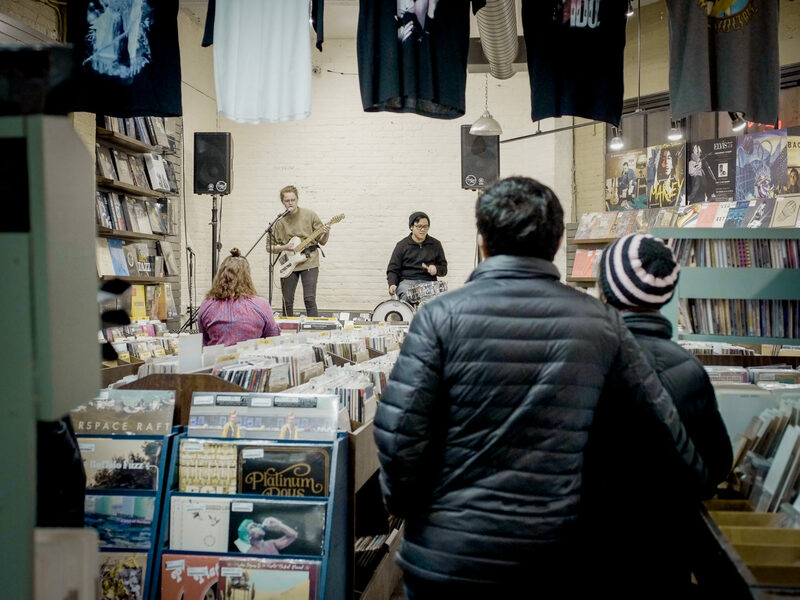 It’s become a Local Exclusives right of passage. 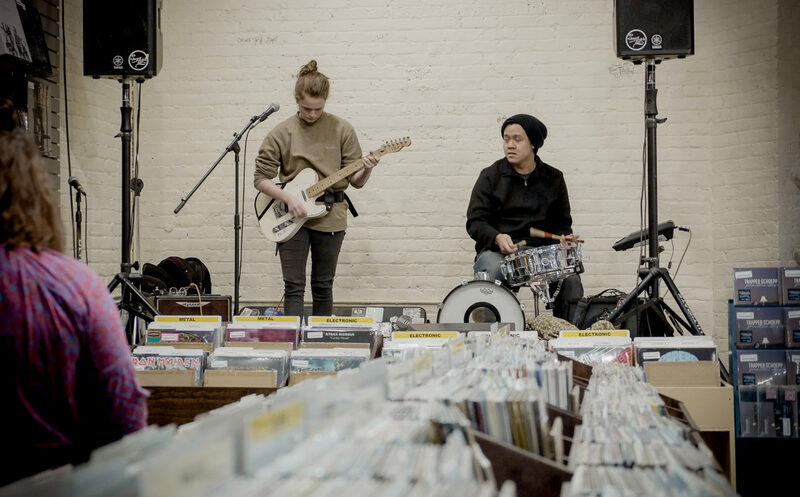 The next Local Exclusives session, scheduled for March 8, will be electronic duo Immortal Girlfriend and hip-hop artist Shle Berry. 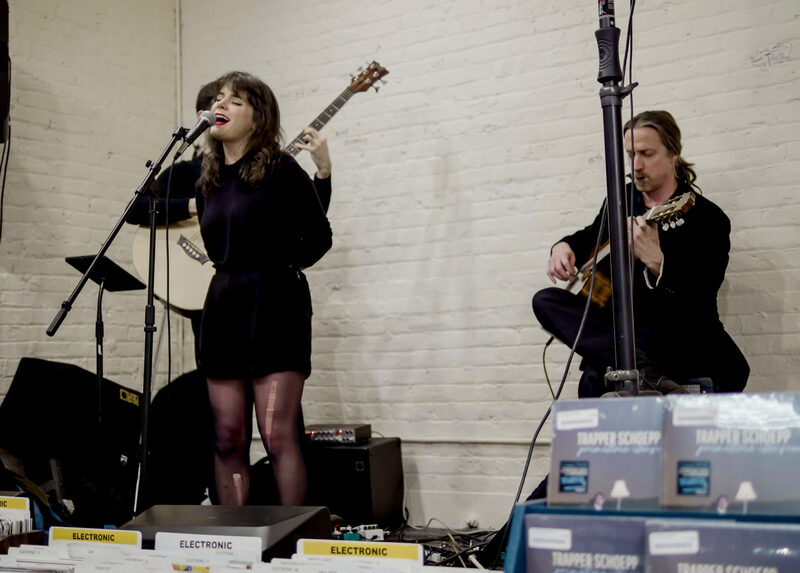 Keep up with show announcements via The Exclusive Company’s Facebook and Instagram.